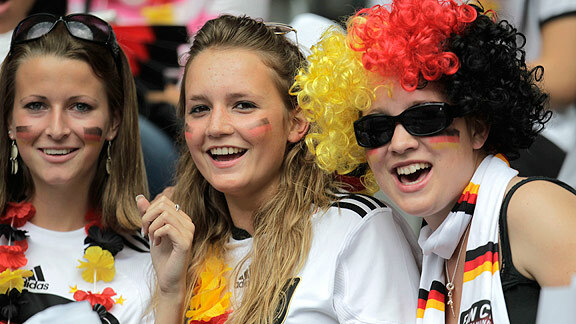 Don't we all wish we were in Germany, among the face-painted fanatics, waving, cheering and experiencing the 2011 Women's World Cup fanfare firsthand? For those not in Deutschland, espnW provides the full fan experience. Millions of Japanese fans got up at the crack of dawn to watch Sunday's final match live and support their Yamato Nadeshiko, "ideal Japanese woman." 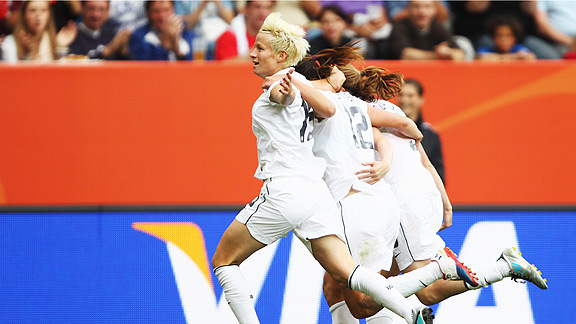 They were ideal indeed as they took on the final match favorite, two-time World Cup champion United States. Unfortunately for the Americans, they couldn't finish, and it ultimately cost them the title. Possibly the best defender the women's game has ever seen, and America's fearless leader, captain Christie Rampone kept her side in many a game throughout this tournament. The 36-year-old was the last remaining player from the 1999 Women's World Cup championship team. 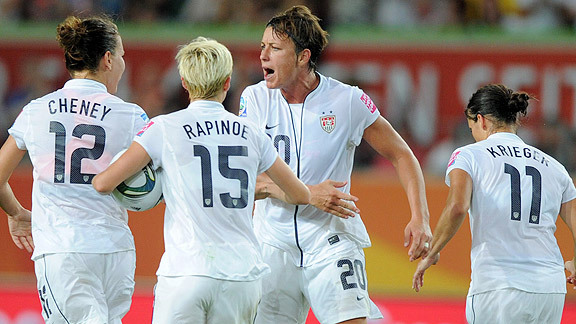 Sadly for Rampone fans, she hung up her Women's World Cup cleats Sunday, declaring 2011 her final World Cup. 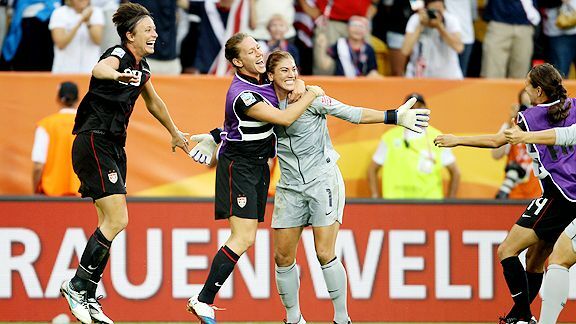 She made some killer saves to keep the United States in the final. One clear off the back line was reminiscent of Kristine Lilly's lifesaver back in 1999 against China. Although Rampone will not play in another World Cup, she hasn't officially turned in her USA jersey. Another veteran proved to be vital in Sunday's final. Homare Sawa received the Golden Boot Award for her five tournament strikes and Golden Ball for best player in the tournament, Abby Wambach got the Silver Ball Award and Bronze Boot and Hope Solo was awarded Golden Glove. Sunday's upset certainly left a Sawa taste in the Americans mouth. @mmackduff: omg japan is my friggin inspiration. after everything they've been through this year, and they come out as the underdogs and win. wow. @jameswickham: Excellent, Japan. Hope this gives women's football -- and all quality football -- a proper boost. Fans banded together in New York City's Times Square to cheer on the United States in its quest for a third World Cup title. Prior to Sunday's final, a fan composed and performed a song about the United States women's national team and its performance throughout the 2011 Women's World Cup. She mentions most of the squad, and even Sundhage, in her full length tune. ScrGoalie8 followed up specifically for espnW with a new song about Sunday's final, encompassing more than just a specific play, save, athlete or moment. This USA team is about all 21 players. Another fan remixed Chris Brown's "Flying Solo" to make "Never Solo," an ode to the USWNT. The United States set another record Sunday, tallying the most shots to hit the post in this Women's World Cup -- amassing a disappointing five, two of which came during the team's finale. No other team has clinked with the woodwork more than three times. 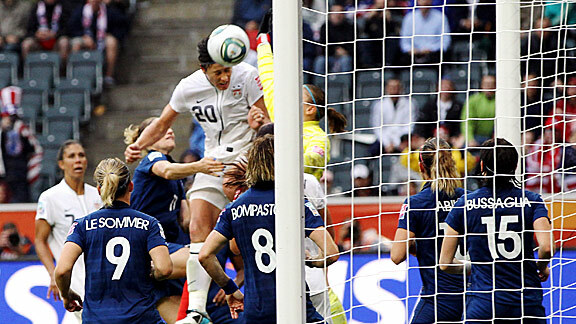 Wambach hit the crossbar in the 28th minute and Alex Morgan poked the post 20 minutes later. The Obama family watching the game. President Obama actively tweeted during the Women's World Cup final, while he watched the match with his family in the White House. "I'm thinking: Score a goal, be a leader, let's get this done." - @AbbyWambach, #USWNT. Game starts in half an hour, and we'll be watching! Tough. Gotta bear down now. Let's go #USWNT. Incredible performance from #USWNT, no matter what happens. Now on to penalties. Let's win this. Couldn't be prouder of the women of #USWNT after a hard-fought game. Congratulations to Japan, Women's World Cup Champions. President Obama had plenty of company on Twitter. Here's a look at what people were saying before, during and after the game. @BonzaPie: Barack Obama tweeted the #USA girls goodluck, Hillary phoned them at the pre-match meal, Japan's PM is cheering on his team. @karenhunter: hears that San Fran has the women's soccer game up on big screens in their parks. Patriotism at its best. USA! USA! @TheBillWalton: The sounds of the Star Spangled Banner just moments before the Women's World Cup final sends chills down my spine & consumes me with pride! @TheBestEleven: If we had to lose to anybody I'm glad it was Japan. Heartbreaking loss though. Congrats to @Jfa_Nadeshiko and @ussoccer_wnt. Great #WWC. @YeahThatsKosher: I cannot believe the #US just lost on PKs. What awful shooting. Gotta give credit to #Japan who played to the end. Fair game all around. @Themichaelowen: Delighted for Japan. Their country deserved a bit of luck. Videos and photographs of fans watching the final sprouted up all over social media sites.